We love the story of how Josh Hart, formerly head of sales and marketing at Walton Arts Center, left to follow a dream. A very lofty dream, in fact. 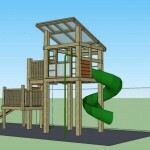 He wanted to build treehouses, swingsets and playhouses, custom products unique to Northwest Arkansas. We think his creations are just gorgeous and we’re so glad to have his company, Natural State Treehouses, as a new nwaMotherlode sponsor. We’re also thinking a fabulous tree house might just be one of the best Christmas presents a kid could wake up to on Dec. 25th. If you can’t imagine how he’d pull that off, keep in mind that Josh surprised his two young sons last year with a new hideaway in the trees. We think it’s such a sweet story. He and his wife made sure the kids stayed out of the back yard for a while and they had to keep those shades down! They were thrilled with their new Christmas present. Josh plans to work all through the cold weather months. We wanted to let Josh tell you a little more about his custom products and the story behind them. A few months later, after refurbishing an abandoned play set and a bit of dreaming, we put together all of the pieces – custom structures made of the highest quality sustainable materials, crafted to meet each family’s needs and tastes. And best of all… treehouses! Natural State Treehouses was born. We knew that there was a need for better play spaces for families, and with my carpentry and design skills and Kate’s experience as a preschool educator, we realized we were the perfect people to make it happen. 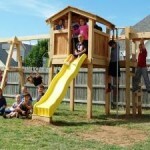 Q: You also make playhouses and swingsets, right? 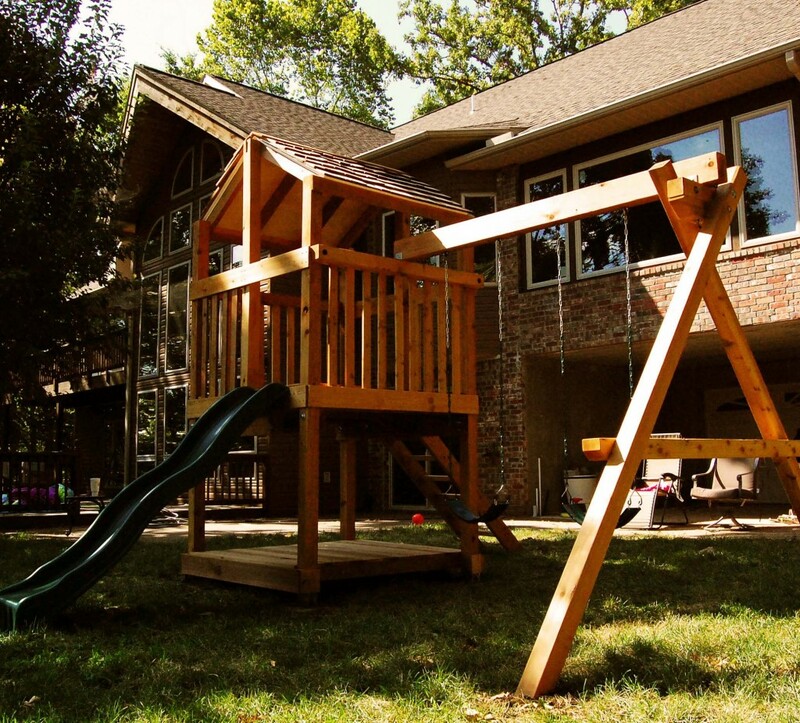 Exactly – we love to build actual treehouses, but also specialize in free standing swingsets and play sets as well as playhouses. 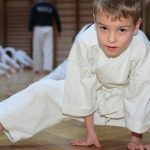 Every family has different needs, different spaces available, and we try to find exactly the right structure for each family – something that will can grow and change with them and provide years of fun. 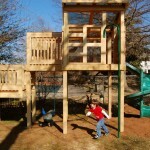 Many of our recent structures combine several elements – treehouses combined with swing sets and play houses. Q: Tell us about the tree house you built for your sons: When my boys heard about Natural State Treehouses of course I had to build them one! Our treehouse is a true multi-purpose structure. Situated between two big elm trees in our yard, it’s kind of an outside living room with a big picture window facing our garden. The kids love to hang out in there after school, read, eat snacks and do puzzles. And of course, it has a bucket and pulley – no treehouse is complete without one! I let the design emerge from the tree itself, and the space features tree trunks that come through the floor and walls and emerge out front. Best of all, it’s a perfect space for adults too – an all-weather retreat where Kate, a writer, can have a quiet, peaceful space to work. I love being out there when it’s raining, and am really looking forward to spending time in it this fall and winter. Q: Did you have a tree house as a child? I sure did. My father was a science teacher, but he was also trained as a carpenter and taught my brother and I carpentry skills from a very early age. I remember how much fun we had building and spending time in our treehouse – a simple but really well-built room among the trees. My dad taught us real craftsmanship and instilled in me the value of building things that last. No surprise that 24 years later that treehouse is still standing strong! Q: What makes your treehouses different? Custom designs make all of our structures unique, but our focus on sustainable practices also really sets us apart. We love using Arkansas Cypress lumber – an amazing wood that is incredibly strong, light and naturally weather and insect resistant without any chemical preservatives. We never use any toxic preservatives, and I feel a lot better going to pick up my lumber directly from a family-owned sawmill right here in Arkansas than I do about importing endangered Redwood from the west coast or using pressure treated lumber laced with carcinogens. And we look for any way that we can to make our practices even more sustainable – everything from our reliance on paperless files and communication to our work truck which is equipped to run on recycled vegetable oil. But, if there’s one thing that we’re most proud of, its our quality construction. Every customer wants something that is safe and well built, and we insist on building everything with the best materials using old-style craftsmanship, always use oversized beams and hardware, and take as much time as we need to on each project to insure that everything is perfect. Q: What about projects for grownups? We’ve had so much interest from adults who either want a place in the trees just for themselves, or want something that they can enjoy after the kids have grown up. In fact, I think most of the treehouses we’re working on this fall will have a second life as an adult space – meditation spaces, artist retreats, favorite morning coffee spots. It seems that every adult I talk to either had a treehouse as a kid and wants to recapture that freedom, or didn’t have one and wants to now that they can. Q: What is the process if someone is interested in having you build a custom product for them? Our process is informal and really fun. It usually starts with an email or phone call to me to talk through basic ideas, then almost always proceeds to an informal on-site meeting to look at the space and brainstorm ideas. I love it when kids can be around for those visits – we have so much fun, and they always come up with some brilliant nugget that I can incorporate into the design. After the initial brainstorming session, I mock up a 3D design so the customer can get a feel for what it will actually feel like to be in the structure. I provide a comprehensive pricing quote, and usually give the family suggestions of things they can add or take away from the design so they can tweak the design to work within a budget or modify the design to get exactly what they want. Sometimes we hit the perfect design on the first try, and sometimes there are several rounds of models before everyone feels that the design is perfect. When everyone is completely satisfied, the customer puts down a deposit and we schedule the installation – currently we are booked through October but have openings beginning in mid-November (we work year-round, including all winter). Q: Tell us a little more about your family: Kate and I both grew up in Northwest Arkansas and after a few years away for college and some world travel, we agreed that this was the area we wanted to come back to to raise a family. We love it here. Our two boys – Thomas (5) and William (3) share our love of the outdoors and we spend a lot of our time working in the garden, playing in the yard and hiking. We love to read and write, and Kate is currently working on her debut young adult novel. We’re a family that loves to be together, especially at home playing in our back yard. We are passionate about creativity, and have tried to inspire our kids by pursuing our dreams – we feel incredibly lucky that we get to spend our days building treehouses and writing! 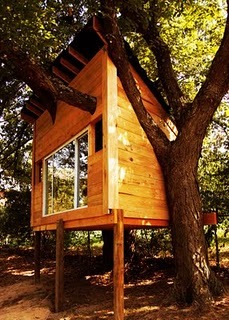 To reach Josh Hart, CLICK HERE to visit his Natural State Treehouses website. Click HERE to visit his facebook page. You can also give Josh a call at 479-387-0701.